Preheat oven to 350°, grease loaf pan with spray or olive oil. Combine all dry ingredients in a bowl. Then add water, olive oil, yogurt, lemon juice, and melted vegan butter and quickly combine all the ingredients to a smooth batter, being careful not to over mix. Pour batter into greased loaf pan and bake for 35-45 minutes or until a skewer comes out clean. Let cool and flip loaf pan over onto a long plate for easy removal. 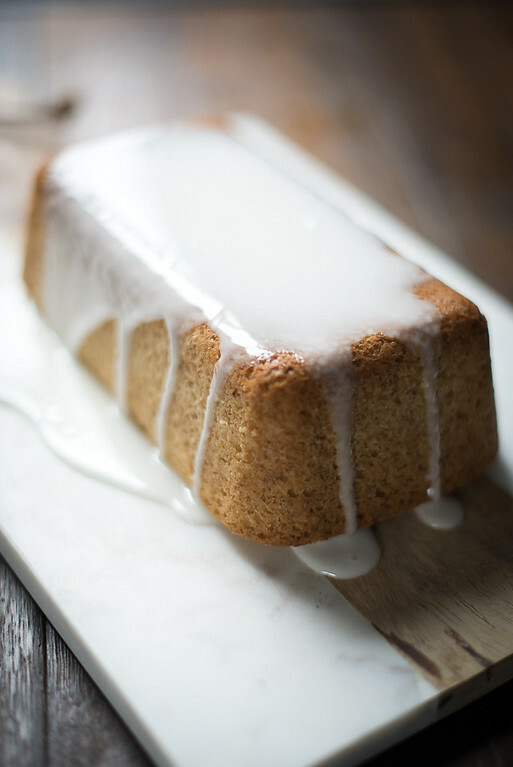 Mix glaze until creamy and spread over cake. Let firm before slicing, then enjoy!